However, the most thrilling part is to walk over the glass floor and see the people and the cars below on the bridge from 42 m above. I didn’t find it scary but fun. I couldn’t resist the Instagram cliche even though I don’t have Instagram yet because of my phone’s rubbish camera and virtually no storage space so I took my photo lying on the dirty glass floor. 🙂 I didn’t jump though, no need to push my luck :). This is actually why you’re visiting the Tower Bridge; to be honest you can get almost the same views for free in the Sky Garden but the experience of walking between the two towers of the Tower Bridge is worthwhile a couple of pounds. Your ticket is also valid for the Victorian Engine Rooms. You descend the southern tower and walk until the end of the bridge when you take steps on the left leading down. Then you enter the Engine Rooms exhibition which can be visited individually too (you can buy a ticket just for it). You can see steam engines, furnaces and accumulators and all the rest of the machinery that once powered the Tower Bridge. I walked by all the powerful machines and watched a short film that shows how the raising mechanism of the bridge actually works. Fascinating! As expected there’s a gift shop on your way to exit. 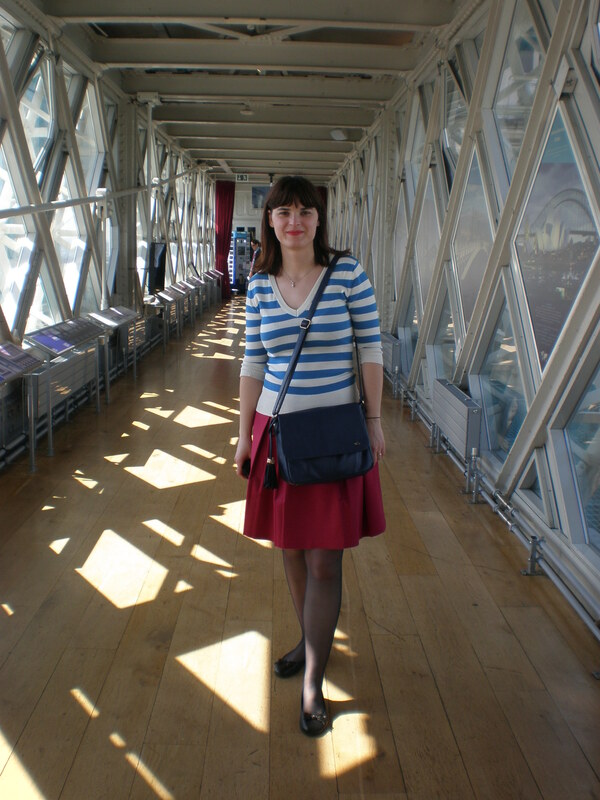 I enjoyed my visit to the Tower Bridge Exhibition but I had a slight deja-vu feeling like I had when I visited the Sky Garden because of all the blog posts I had seen about it. When I just read a travel guide on certain destination I don’t get this feeling but I wouldn’t have known about the possibility of walking high up between the Tower Bridge’s towers if I hadn’t read the travel blogs. 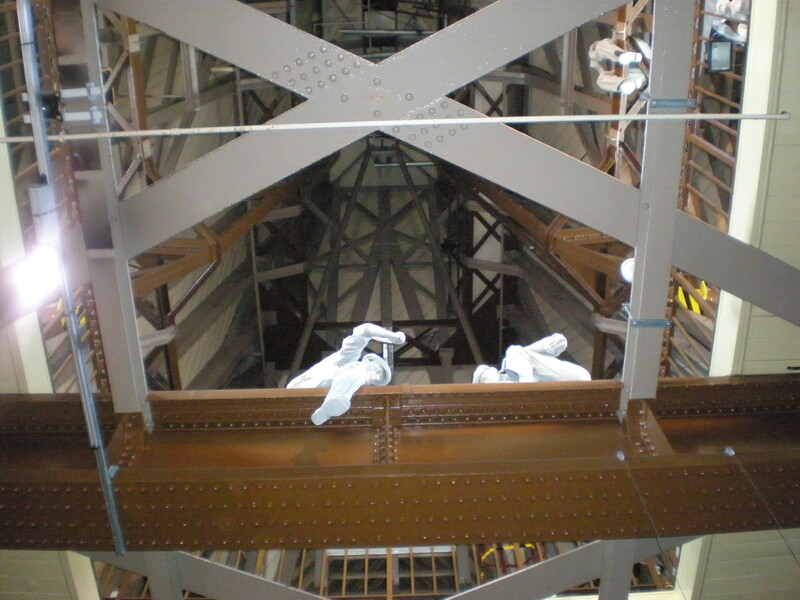 Have you walked on the glass floor of the Tower Bridge Exhibition? I’m actually planning on visiting this attraction while I’m in London this month! Thanks for the article! Omg, this is stunning! and interesting too. I must make it a point to visit this when I have another chance to visit London. This is the first I’ve heard about being able to look down and see the cars while walking across the bridge. That’s so cool. We didn’t have time to visit Tower Bridge when we were in London. I’d love to walk across on a future visit and see the exhibitions. I love the iconic look of Tower Bridge. Looks like you had a great time at the exhibition! London is such a magical place 🙂 This sounds like an awesome experience! The glass floor would be too much for me though I can imagine it being a lovely experience for those not afraid of heights. I’ve walked across Tower Bridge so many times and thought of doing the exhibition but not doing it…glad I could live vicariously through you!! I have to embarassingly admit, I didn’t know you could cross the bridge, or that there was an exhibit there! Looks like fun! I lived in London for a couple of years and you’re so right, you can’t ever see everything it has to offer! I miss it so much, especially the British Museum. Thanks for bringing back some great memories – I used to work on the opposite bank to the Tower of London. Looks great! We’ve walked over Tower Bridge many times too but never done this. Now it’s definitely on the list!